Did you watch the full video on my YouTube channel? (Moses Sabayi) if you haven’t, please go check it out. In this drawing i used Crayola colored pencil but any set of colors e.g prismacolor… Works perfectly well. Also for the lovers of Harry Potter, there’s another video of Emma Watson that I did some few weeks, don’t forget to check that one too. OMG It’s been a while since I haven’t checked out your blog, but I feel like you improved a lot ! 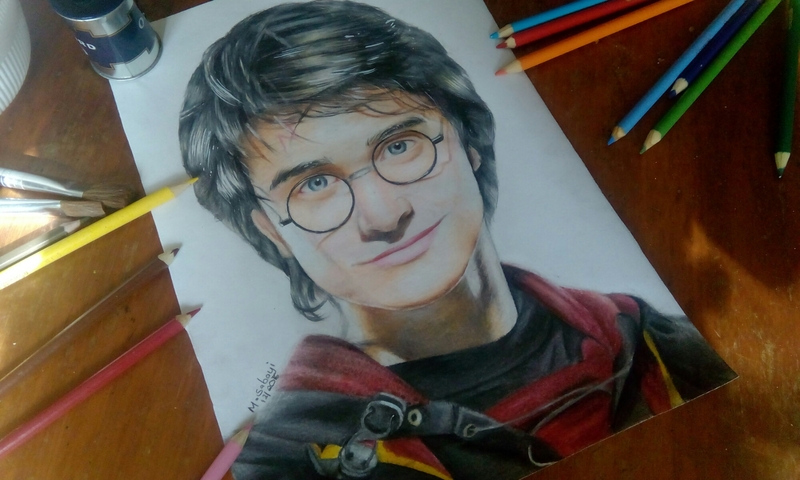 Your drawing looks amazing ! Hello, Thank you very much for being subscribed to my blog. I recently changed this site to http://www.mosesabayi.com. To stay updated on my latest posts, please subscribe to the new one. Thank you so much!